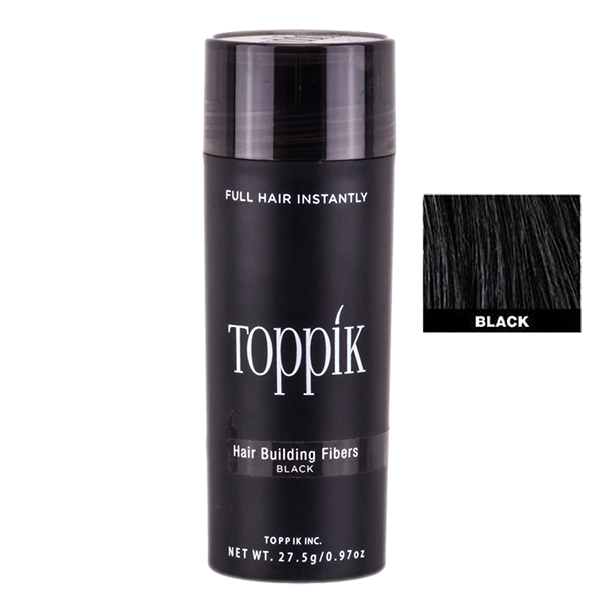 Toppik Hair Building Fiber instantly make thinning hair look thick and full. It’s Keratin fibers cling to existing hair and in seconds fill in all thinning or balding area. Toppik won’t come off in wind, rain or perspiration. It is totally undetectable, even from as close as two inches. All you will see is thicker looking hair! 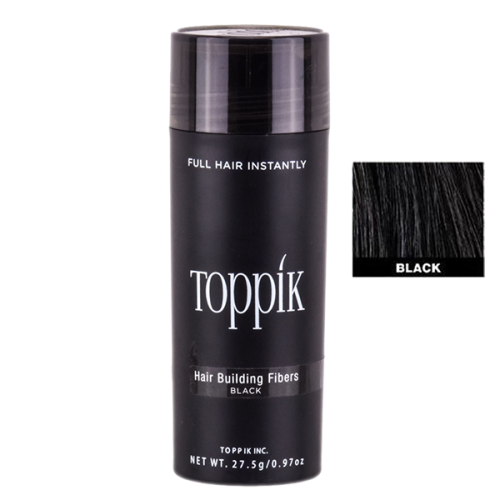 Try our award winning Toppik Hair building fiber Today ! 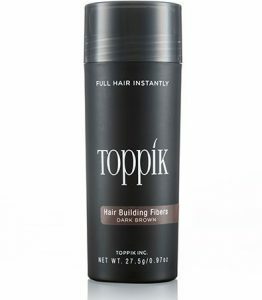 Toppik Hair Building Fiber uses something known as “micro-fibers” which, when applied, bind to your hair, making it look thicker. The fibers used by Toppik are made of the same protein Keratin that normal human hair is made up of. The fibers actually mesh with your hair so well that it’s nearly impossible to tell the you’ve done anything. Instantly you will see a more natural, thicker looking head of hair in just 30 second ! No more Male Pattern Baldness!